Spread the love, and be a joyful part of feeding others this holiday season by bringing your non-perishable good to Yoga Studio Tahoe, benefiting Project Mana. Project Mana is a vital community organization providing hunger relief to local families. Keep these themes in mind when you’re clearing out your pantry: “Macaroni Mondays” “Tuna Tuesdays” and “Fruit Fridays”! • You will receive a raffle ticket for every 5 items of food you donate. • Deadline for raffle entry is December 31, 2012. • Raffle will be held after Bhakti Flow on Wed, January 2, 2013. So what exactly could I win at this raffle? Learn more about Project Mana here, and yoga classes in Truckee at Studio Tahoe here! If you don’t have plans to ring in the new year, then check out what’s happening around Lake Tahoe for the holiday! • Après Ski New Year’s Eve at Alpine Meadows: Kick off the NYE celebrations with festive cocktails and live music at Alpine Bar, 2-5PM. • Toast at High Camp/Celebration at Olympic House: Your choice of family-friendly East Coast midnight toast or 21 yr.+ party! 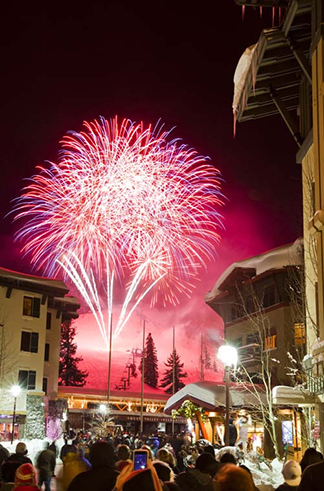 • Northstar Resort Fire & Ice Celebration: Live music, ice skating, s’mores by the fire and fireworks show at 9PM. • New Year’s Eve Dinner & Grand Celebration at Resort at Squaw Creek: Whoop it up with music, dancing, a magician, dinner and dessert. Sparkling cider & champagne toast with balloon drop at 9PM and again at 12AM. • Tahoe Donner Torchlight Parade: A Tahoe tradition you don’t want to miss! Light up the slopes with other skiers in this festive parade; DJ and snacks avaialble in the bar area. • New Year’s Eve in Manzanita: Feel like a traditional sit-down celebration? Indulge in four-course prix fixe tasting menu with bubbly, music, dancing and party favors. Call for reservation & pricing. What’s your favorite way to ring in the New Year? Do you normally make a New Year’s resolution? Are you looking to fend off the holiday bulge, even on your ski vacation? Then join other runners of all levels for a festival 5K run/walk, benefiting Make A Wish Foundation to help make children’s dreams come true! When: December 15 at 10AM! Rain, snow or shine! Feel free to wear your best Christmas costume as Santa Claus, Mrs. Claus, or Santa’s helper — anything that demonstrates the Christmas spirit. If you are attending the Reno Santa Pub Crawl, be sure to enter “Santa Crawl” in the Special Instructions and receive a FREE Santa Crawl Cup to use later that night! Register HERE! It’s a great event to break up your time on the slopes, at après ski, or sledding with the kiddos. Pro surfer, Bethany Hamilton, lost her arm to a shark attack in 2003. On October 31, 2003 Kauai local and avid surfer, Bethany Hamilton, was attacked by a 14-foot tiger shark while surfing off the North Shore. After losing her left arm, countless surgeries without infection, and getting back in the water just one month after the attack, Bethany has gone on to inspire the world with her positive attitude and perseverance. Spend an evening with Bethany at Squaw Valley Institute on December 22! Your ticket includes appearance and presentation by Bethany; limited Q&A session, and book and DVD signing. Bethany’s autobiography, Soul Surfer, will be available for sale during cocktail hour from 6:30- 7pm. Lecture begins at 7pm. Purchase your ticket here! 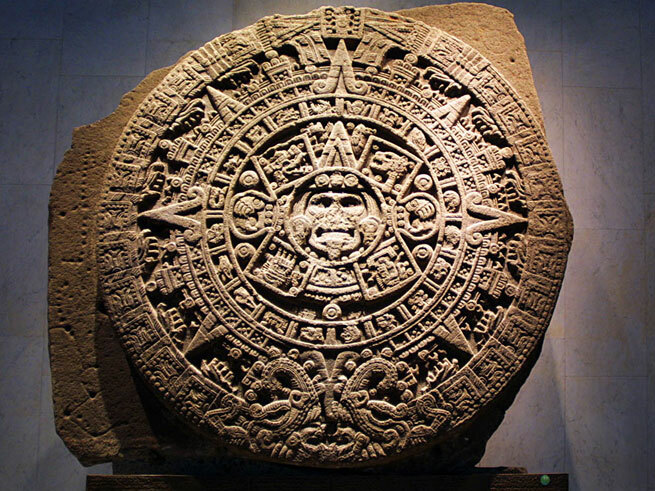 Mayan Calendar ends on 12.21.12. Party like it's the end of the world! The Mayans ended their calendar on 12.21.12, so who knows what 12.22.12 will bring! After a day of skiing or boarding, dress in your favorite Mayan garments (what’s that, you say? click here for inspiration) and party it up with others at Bar One! • Festivities start at 8pm and run until 2am for the die-hards! • Enjoy music from Afrofunk Experience and DJ Aaron Pope. • $10 for 21 years and older. Noel Nights at Northstar California has truly become a landmark celebration. This Lake Tahoe event centers around a 35-foot Christmas tree located in the heart of Northstar Village. From 5pm to 8pm, village residents and local shops pull out all of the stops to make Noel Nights the thing to do in Lake Tahoe. A great experience for all members of the family, Noel Nights features ice skating until 9pm, a variety of fire pits to gather around and keep warm, s’mores, holiday carolers, and great shopping deals. InnerRythms kicks off this Lake Tahoe event at 6:30 on December 6th followed by the lighting of the 35-foot Christmas tree at 7:15. Afterwards, there are a wide variety of family-friendly activities. Visitors can enjoy complementary One Horse Sleigh Rides every Thursday of Noel Nights from 5 to 8 pm. It’s undoubtedly the best way to see all that the village has to offer. While on that sleigh ride, visitors often cross paths with The Great Basin Carolers, a collection of singers who perform all of the holiday classics as they wander through Northstar Village. Of course, Santa always makes an appearance at this Lake Tahoe event. He will be available for photos every Thursday from 6-8pm. And for those looking to write their best Christmas wishes, Northstar offers ample opportunities.